Breathable, easy on/easy off formula goes on quick. Wax an average size car in about 45 minutes or less. 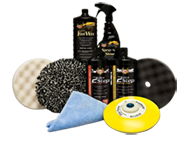 Provides a high-gloss shine and approximately 30-60 days of protection based on your climate and driving habits. Adds paste wax protection with liquid wax ease. Contains premium natural and synthetic ingredients. Great for automotive and marine applications. Treat the entire vehicle before wiping off! Although we recommend applying on a cool car in the shade, Fast Wax® still comes off easy even on hot surfaces in direct sunlight. It can even be applied over 24-hour old clear coat and single stage paints, because its beatheable film allows solvents from fresh paint and clears to escape. This is our best selling wax. Give Fast Wax a try. We're confident that you'll be hooked after just one use! this is very good wax.on and off,easy. one of the best i ve used. 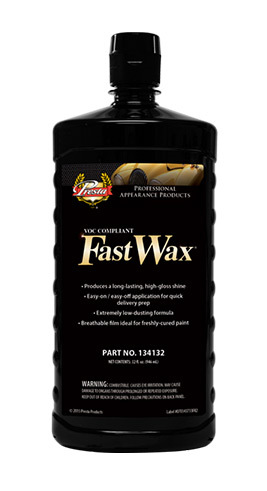 JUST LIKE THE SWIRL REMOVER, I HAVE NOT SEEN A PRODUCT WORK AS EASY AS THE FAST WAX! THIS IS GOLD IN MY SHOP. FAST, EASY, CHEAP, AND AN ALL AROUND GREAT WAX. A MUST BUY FOR YOUR SHOP!!!!!!!! !